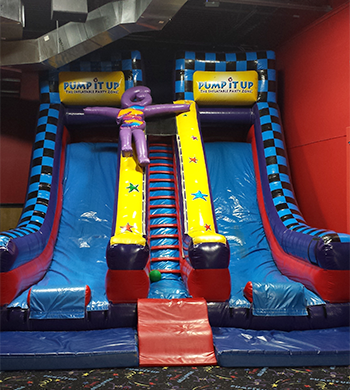 At Pump It Up of Lake Forest, your party is always a memorable experience. There's fun for all ages in our private, indoor arenas with gigantic inflatables. Our friendly, trained staff is here to help you from the moment you arrive in the parking lot until the guest of honor makes a wish and blows out the candles! For past 11 years, we have helped celebrate Birthdays for families in our neighborhood - Lake Forest, Foothill Ranch, Portola Hills, Rancho Santa Margarita, Laguna Hills, Mission Viejo, Ladera Ranch, Aliso Viejo and Irvine! "I wanted to let Pump It Up of Lake Forest know how impressed I’ve been with the Staff. 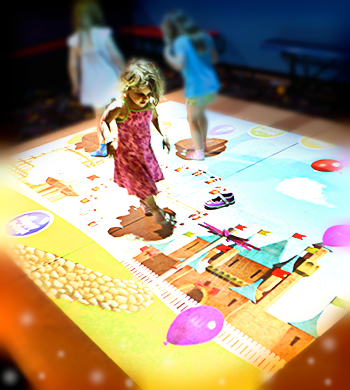 Each time we’ve come to Family Jump or a birthday party, the staff members have been super attentive and playful with the children, as well as with us parents. I’m pregnant, and the staff brought me chairs to sit and prop my leg. One of the girls stood by my friend’s baby to protect her hands at the air hockey table. The staff facilitated games between the older children, keeping them happy and engaged. Thank you for making our experience fantastic." "I have to say as a party host if you want a care free environment and have everything handled for you then this is the perfect place to have a party. the staff is very friendly and they do EVERYTHING for you from entertaining the kids to setting up everything in the eating room. this was my first party here and it will definitely not be my last. recommended to all parents!! this place is GREAT!!!" "Thank you Pump It Up Lake Forest! My 12 year daughter and her friends had an awesome time for her birthday celebration. My thanks to Lyz & Matt for taking care of all our needs and having fun with the kids, you both were awesome. Everyone had a great time." "Love parties here! It takes the guesswork out of things and kids get to play which is what they want to do! When you invite a kid to play they wanna play! Here they play and jumps themselves into that state that means they are going to sleep so well at night! Love it!" 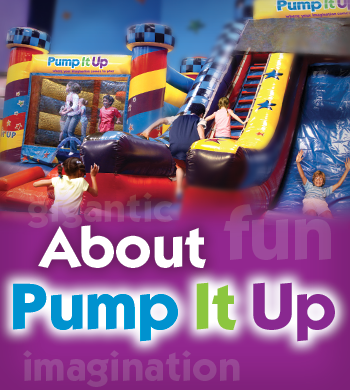 How fun would it be to raise money for your organization in partnership with Pump It Up?! We make it easy with several programs we have in place to help serve our fabulous customers and reach out to our local community. We offer fundraising opportunities for schools as well as private organizations along with youth sports sponsorships! So let's get started now, we can't wait to see what we can do to help raise funds and awareness for causes in our community we value so much! Call us at 949-382-1231! We here at Pump It Up are more than just an awesome place to hold a birthday party we are a part of this thriving community and look forward to doing what we can to enrich our local schools, youth organizations, and charitable causes.